Last updated: Aug 5th, 2013. 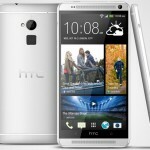 The HTC One Max is a phablet version of the company's 2013 flagship handset. It's going to be a 5.9 inch device with BoomSound front-facing speakers, a 3,200 mAh battery, Qualcomm's Snapdragon 600 processor and more. HTC is now offering 100GB of Google Drive storage for anyone rocking one of their One or Desire devices. Not all devices are eligible, so check out the post for full details. 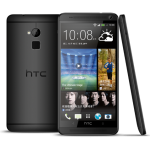 Having successfully rolled out KitKat to a variety of their handsets across multiple carriers in the US, HTC Is now focusing on Sense 6. 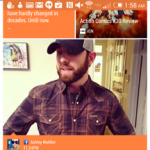 You can now keep track of everything via their new status update page. 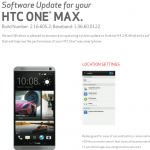 The Verizon HTC One Max now receiving its update to Android 4.4.2 KitKat. Make sure you check out the post for the full changelog of everything that’s been fixed/improved. 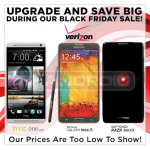 If you’ve got an HTC One Max on Verizon, good news! You should expect Android 4.4.2 KitKat to hit your phablet this Monday (April 7th). 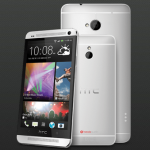 Black HTC One Max headed for Hong Kong, when will it arrive in the states? Black Friday, the biggest shopping day of the year, is almost upon us, and the deals have been rolling in all week. Some folks have yet to even announce their deals, though, including retailer Let’s Talk. According to trusted sources, Let’s Talk will have some of Verizon’s best smartphones on sale for some very attractive prices on that wallet-killing day. Sprint’s HTC One Max is already available, but Verizon customers were wondering when they’d be able to get their own oversized version of the HTC One (with an added fingerprint scanner and microSD card slot). This 5.9-inch beast is now available on Big Red’s nationwide LTE network for $299.99 following a new two-year contract.